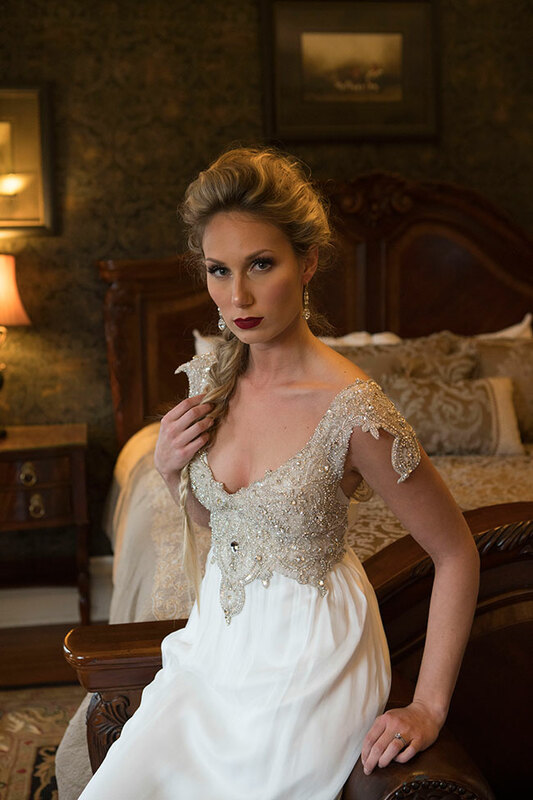 I love a bit of drama and this classic vintage bridals at Biltmore Village Inn beautifully embodies just that! 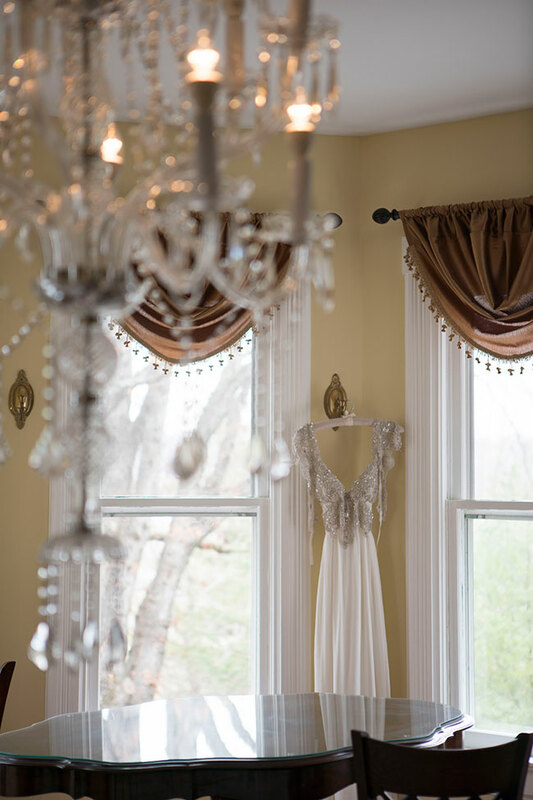 Wanting to work with something a bit more sensual, the team opted for a boudoir come bridal portrait session captured by Audrey Goforth Photography, tucked into one of the stately rooms at the inn. 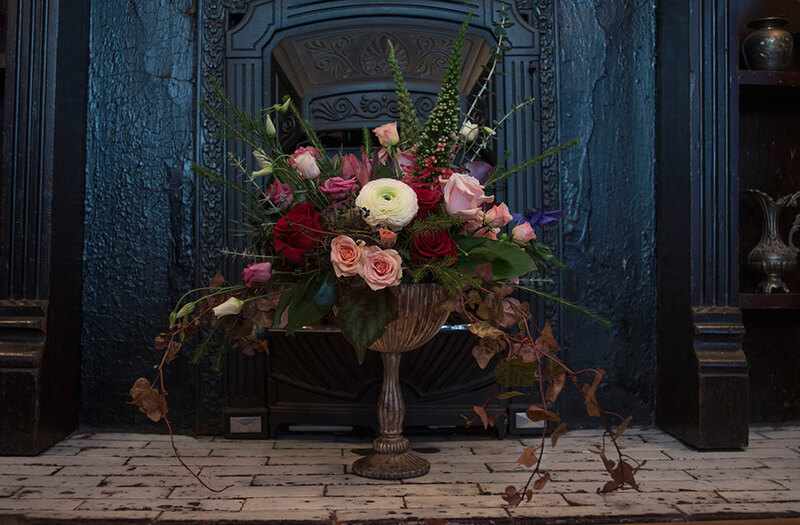 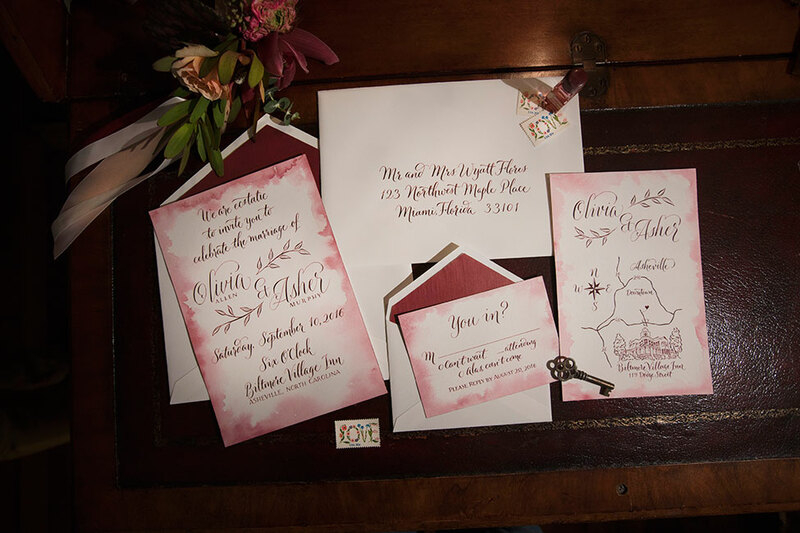 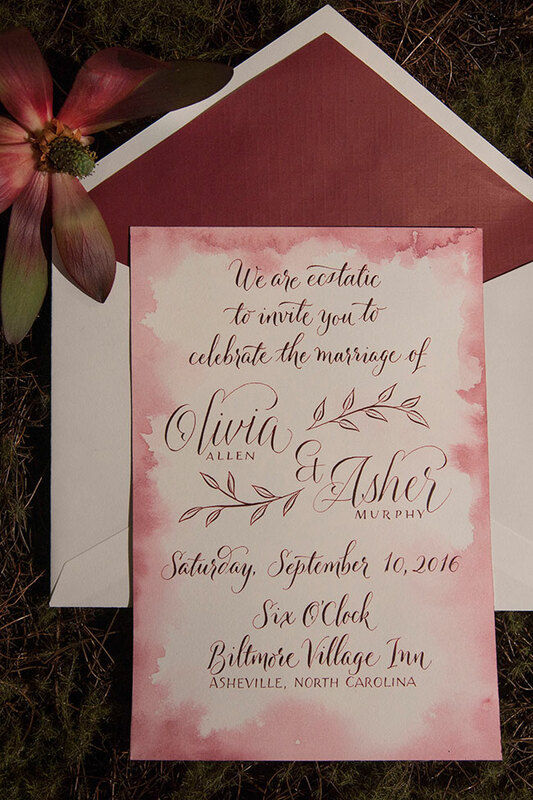 Playing off the historic bed & breakfast interior, the a deep moody palette was brought to life centered around berry rich hued florals, styled by Flowers by Larry. 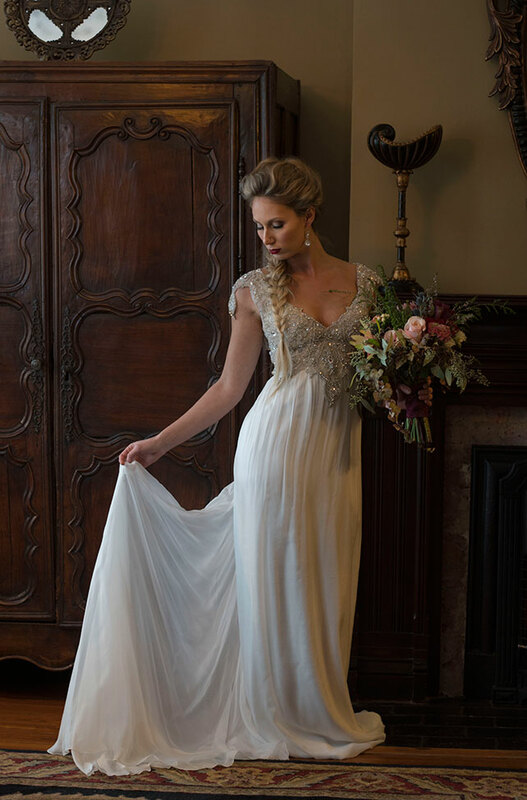 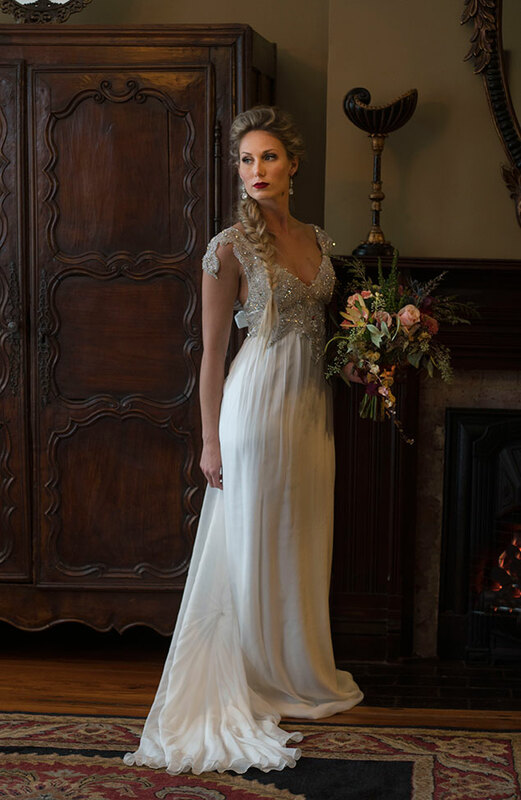 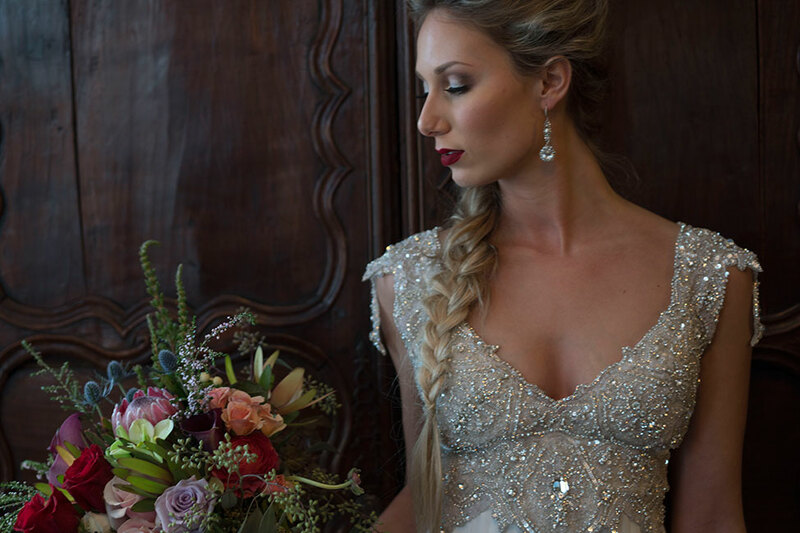 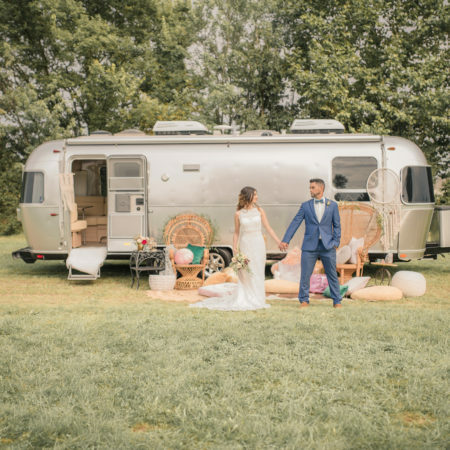 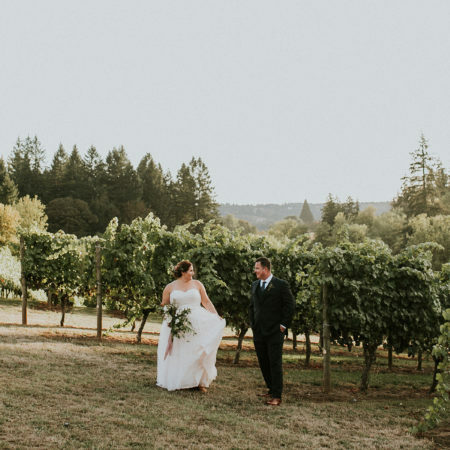 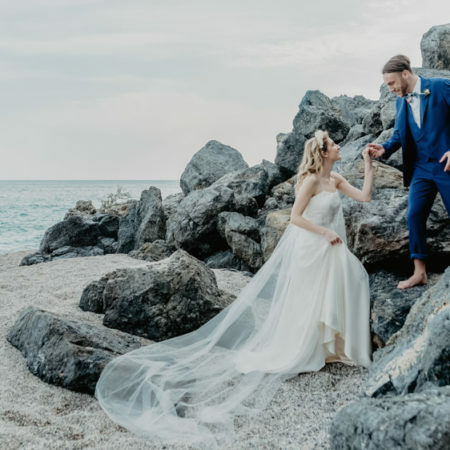 In order to inject a fresh modern take on the vintage bridals style, a stunning bead work lace top wedding dress from Wildflower Bridal served as the centerpiece, a departure from the more common strapless gowns we see all too often. 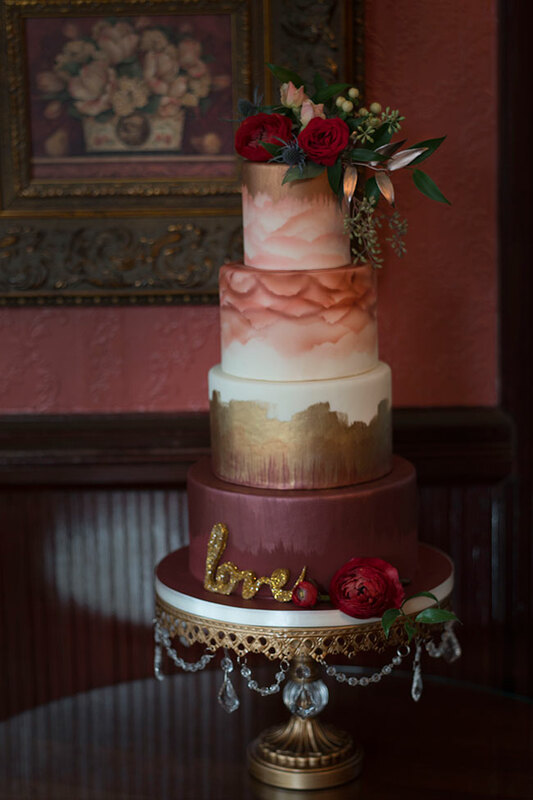 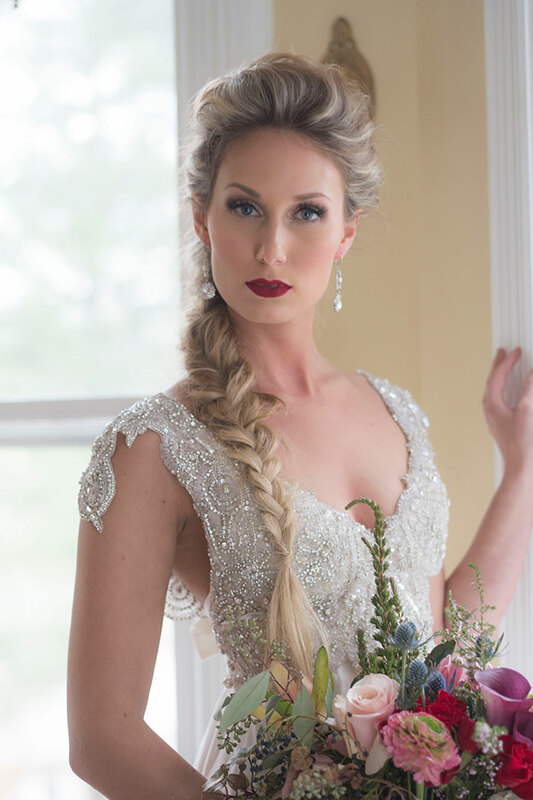 A long Rapunzel-couture inspired braid from Love, Daisy and classic red-lip look by Beauty by Carisse amped up the overall look and feel, while a watercolor calligraphy invitation suite from Long Village Studio & wedding cake from Tiffany’s Baking Co. added soft feminine touches. 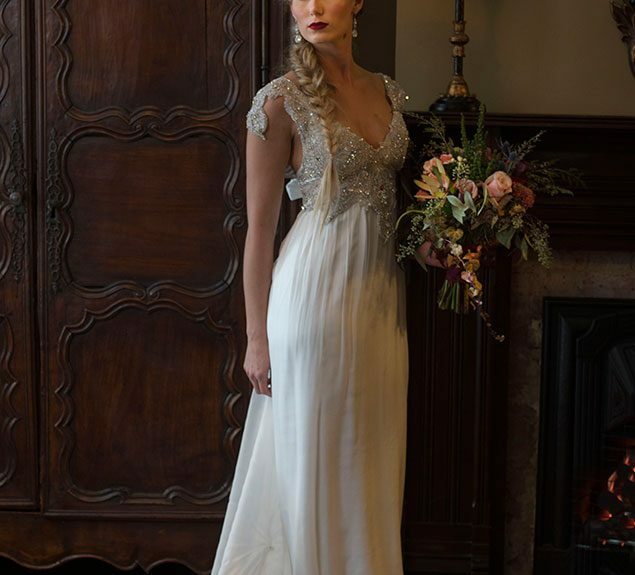 The result is a timeless look that is every bit classic and vintage as it is modern! 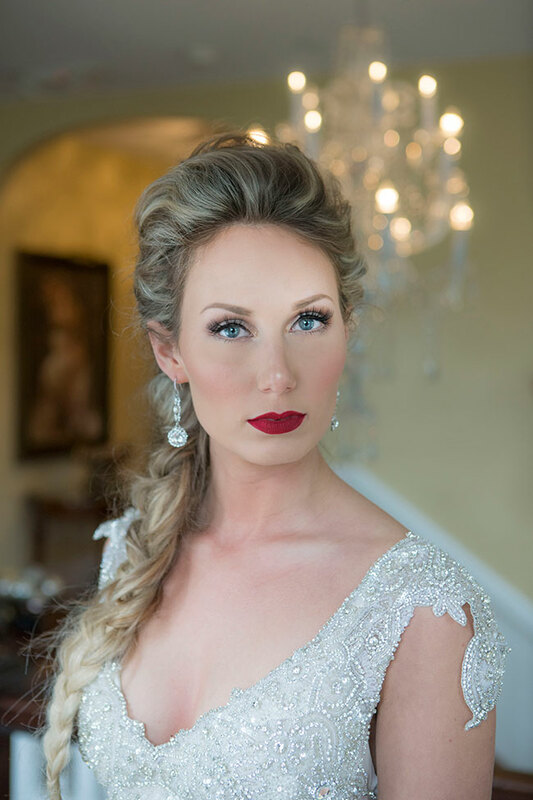 Photography: Audrey Goforth Photography | Venue: Biltmore Village Inn | Gowns + Jewelry: Wildflower Bridal | Lingerie: VaVaVoom | Hair: Daisy and Jenna of Love, Daisy | Makeup: Beauty by Carisse | Florals: Flowers by Larry | Calligraphy: Long Village Studio | Cake: Tiffany’s Baking Co.